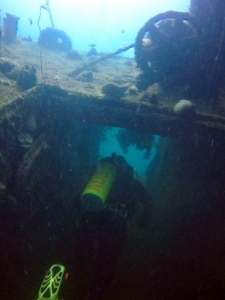 The Landing Craft Utility wreck here in Subic Bay Philippines was believed to have sunk in a storm sometime after the end of World War II. 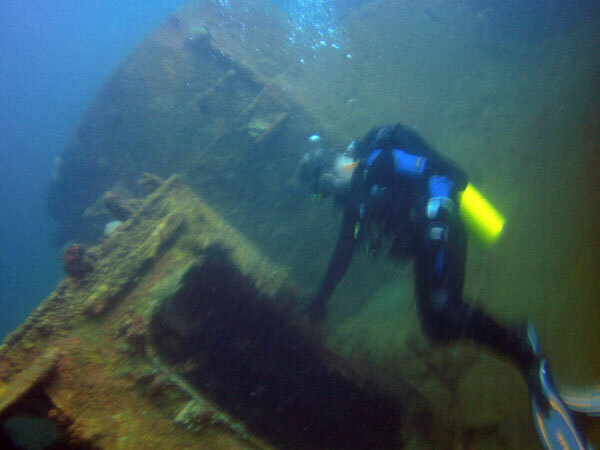 Our Subic wreck is located inside Triboa Bay and is listing on her starboard side, allowing for scuba divers of all certification levels and experience to enjoy her. 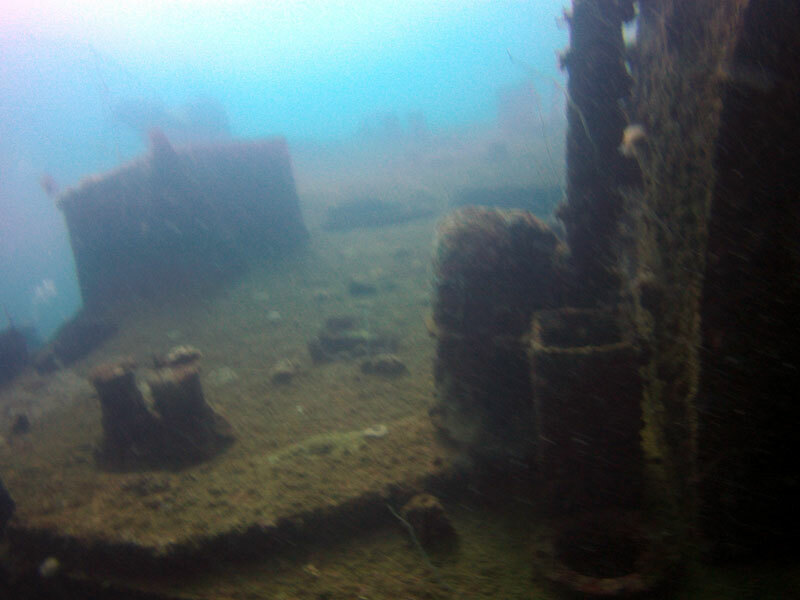 The LCU wreck plays host to quite a number of marine species including batfish, angelfish, lion fish, soft corals, sponges and a resident turtle. These amphibious landing craft were designed to transport troops and small to medium vehicles right to the beach. They are incredibly strong and can sustain up to 800 pounds per square inch loaded directly onto its welded steel loading deck. The vessels have bow ramps for loading /unloading and can be moored in a line bow to stern gate to form a temporary pier like structure. They are used for a number of purposes from salvage operations, transporting troops, and underwater test platforms. The vessels are typically captained by a Chief Petty Officer or Petty Officer First Class. 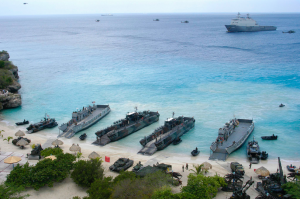 LCU’s are usually transported inside a LHD or LHA, and then deployed close to their intended landing point. All the US made Landing Craft Utility were built with two respectively three completely independent watertight engine rooms so in the event that one was damaged, it could be sealed off and the LCU could continue operation using the remaining engines. 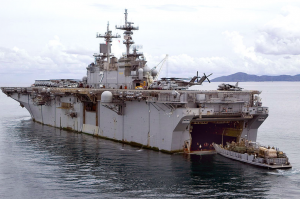 The LCU located here in Subic Bay has one of the engines reasonably intact and clearly visible to examine. LCU’s have been built and operated by the United Kingdom, Netherlands, France, Germany and the United States. The LCU here in Subic Bay is US built and is believed to be a model LCU 1466. There were thousands of these built for use during World War II. 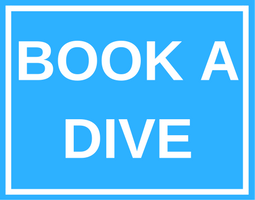 Do contact us if you are interested in scheduling a fun dive of this interesting wreck!